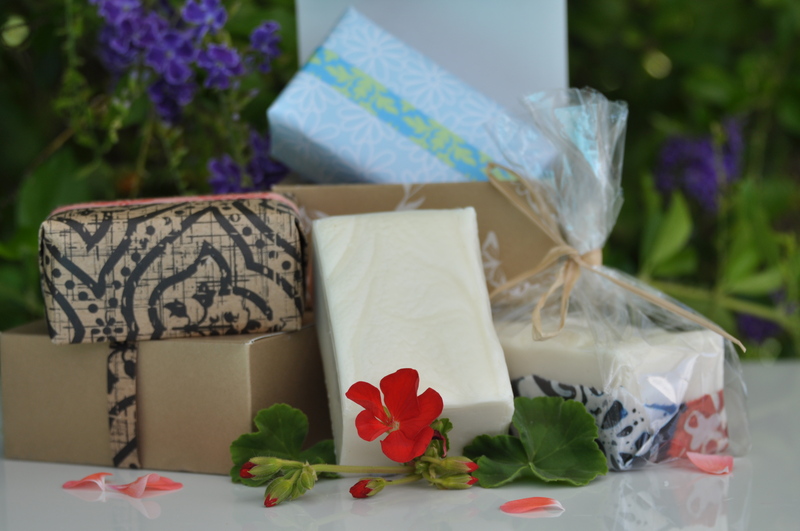 Olive oil is a very gentle, creamy soap giving your skin a soft, pampered feel. Scented with the beautiful Geranium and Citrus essential oils, you can enjoy the beautiful lather and delicate perfume released during use under warm water, perfectly safe for the whole family. 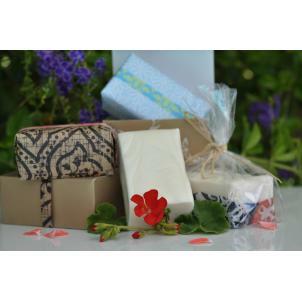 Wrapped in pretty paper to make the perfect gift idea or to pamper yourself! Aqua-water, lye, olive, organic coconut and Sustainable plamtation organic palm oil-(from South America, Orangutan DO NOT live in South America), grapefruit seed extract, geranium, orange & lemon oil. For all information on ingredients go to our Ingredient Page.